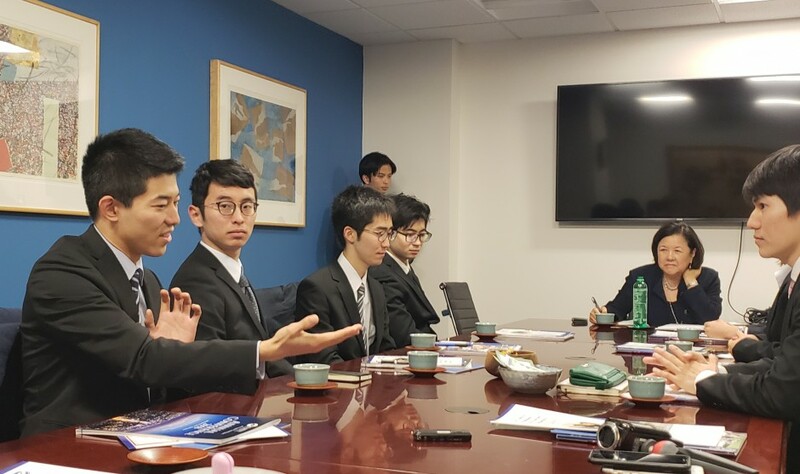 From January 7 to 11,2019, seven of the university students studying abroad in the United States through the TOMODACHI Sumitomo Corporation Scholarship Program visited Washington, D.C. and New York City for a week-long, winter leadership program hosted by Sumitomo Corporation of America. The students traveled from their campuses across the United States to kick off the program in New York City. In New York, the students participated in a roundtable discussion with Professor Hugh T. Patrick, Director of the Center on Japanese Economy and Business at the Graduate School of Business at Columbia University, and visited the National September 11 Memorial Museum. In the evening, they enjoyed a dinner with USJC members. The students later traveled to Washington, D.C. for an opportunity to meet with U.S.-Japan Council (USJC) President Irene Hirano Inouye for a chance to learn about the works of USJC, Ms. Hirano Inouye’s career and had discussions about ways to achieve mutual goals over cultural differences. Other highlights of their time in D.C. included a tour of the United States Capitol, a visit to the Embassy of Japan and dinner with the regional USJC members and young professionals. 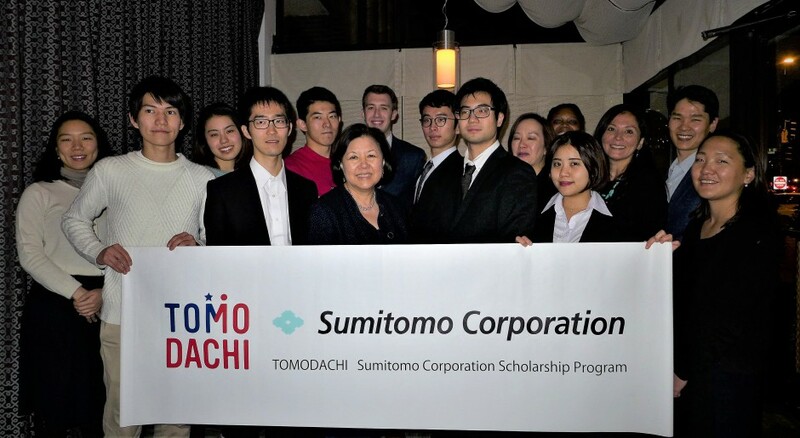 Recruitment is now open for the TOMODACHI Sumitomo Corporation Scholarship Program 2019, click here for more details.